Taken from www.wildcard.co.uk. 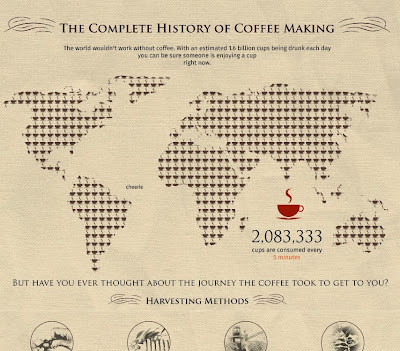 See the full infographic at http://visual.ly/complete-history-coffee-making. avg consumption per day is 3.1 cups, which would be 21.7 per week. But then it says that % of people who drink more than 13 cups per week is 24%. ?? ?